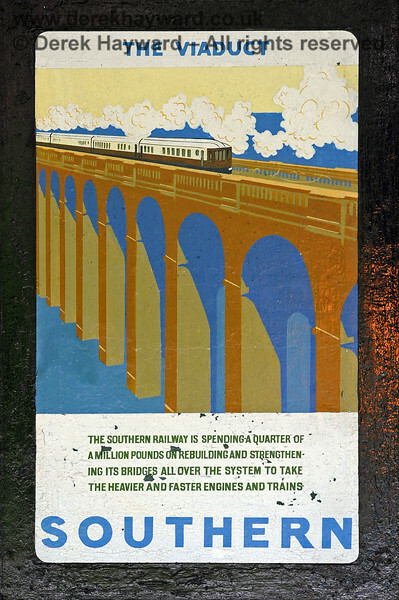 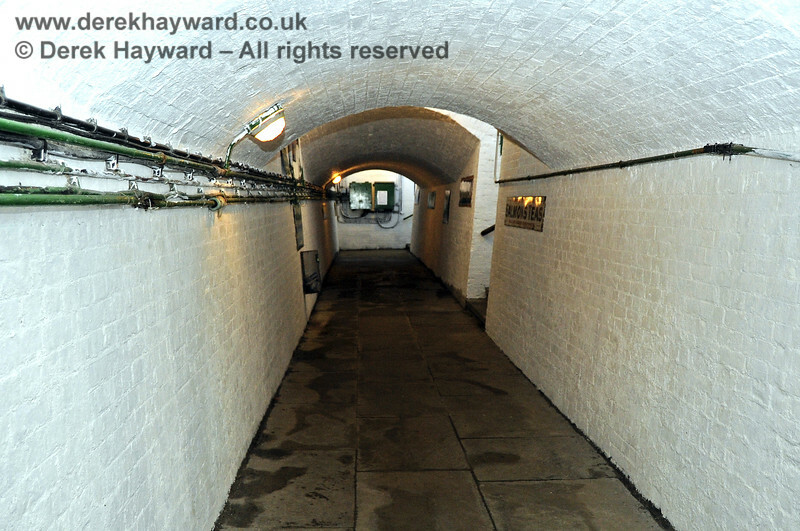 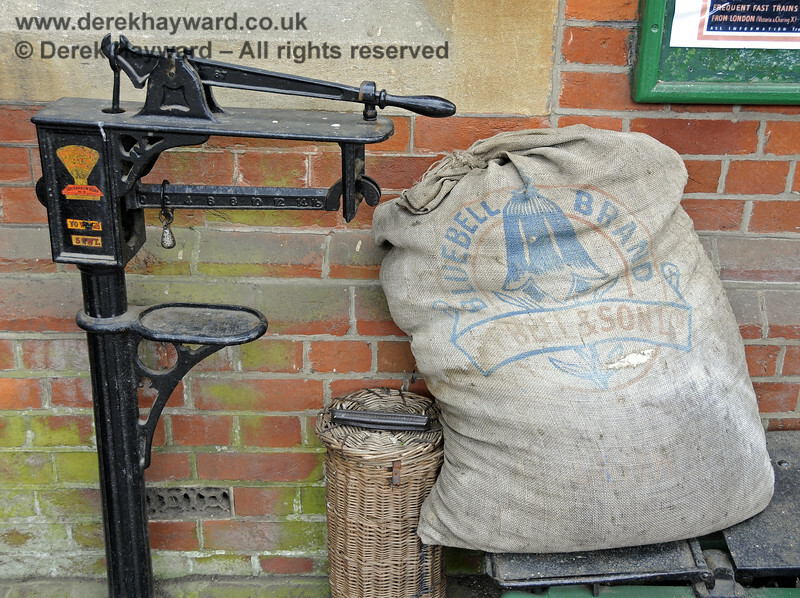 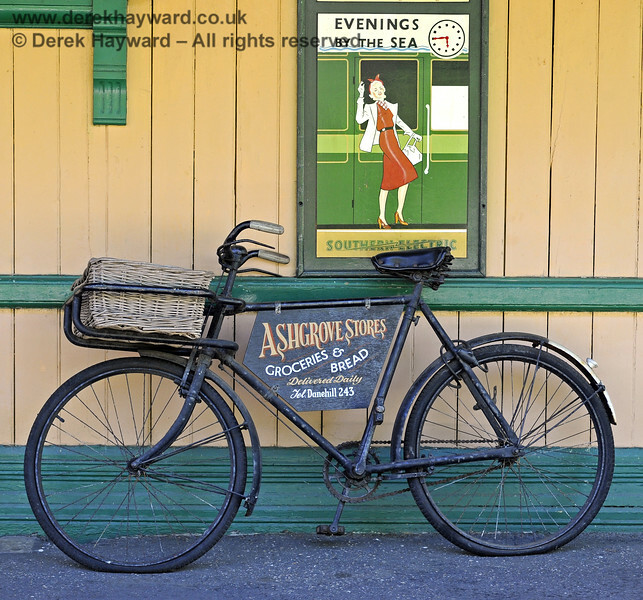 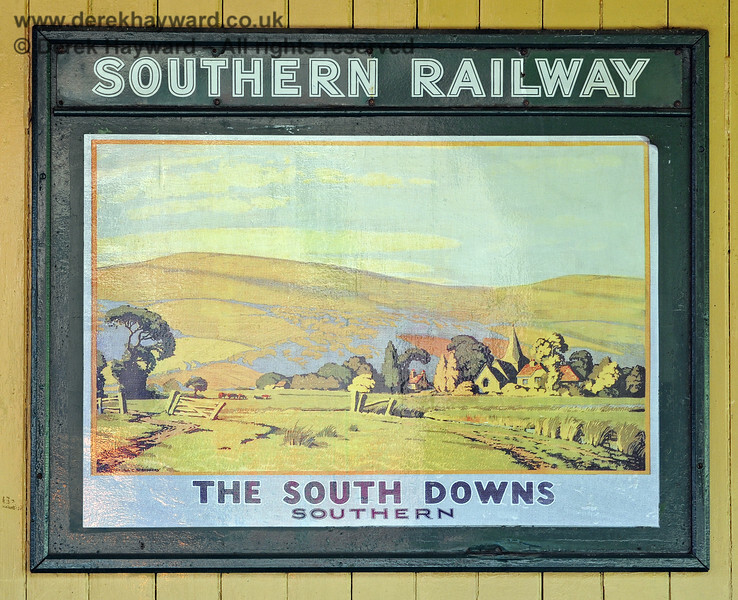 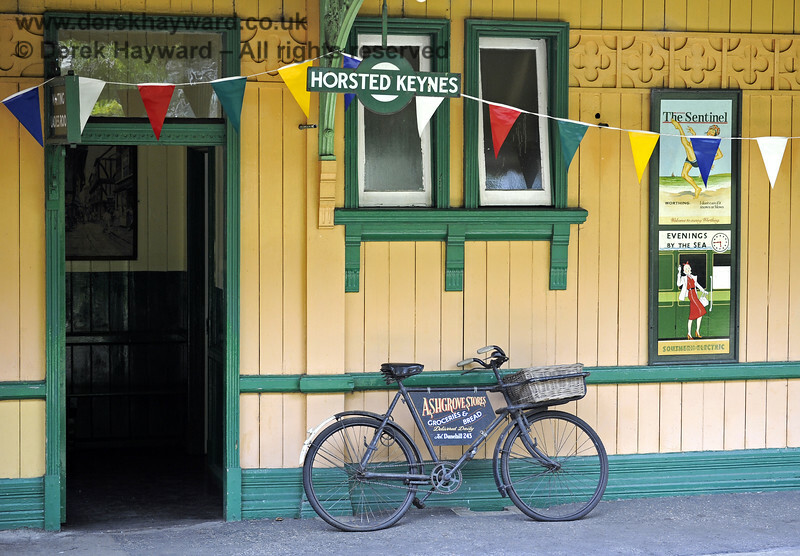 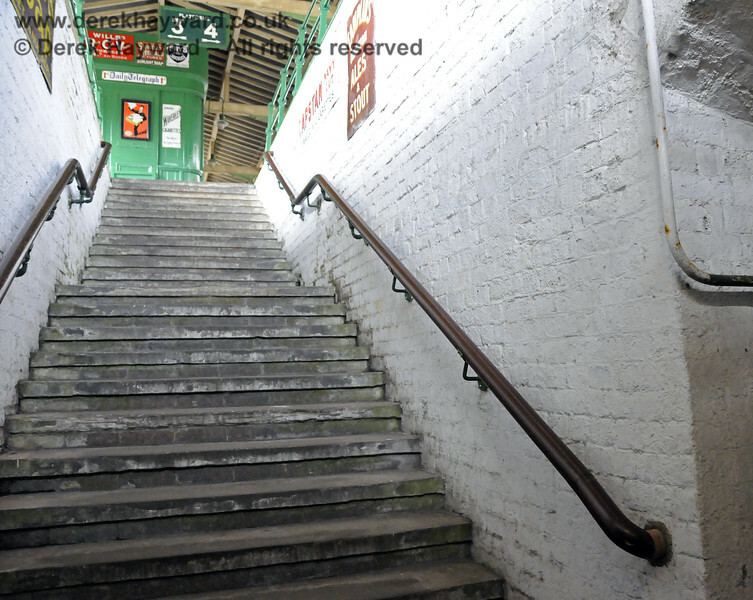 One of the adverts in the Horsted Keynes subway. 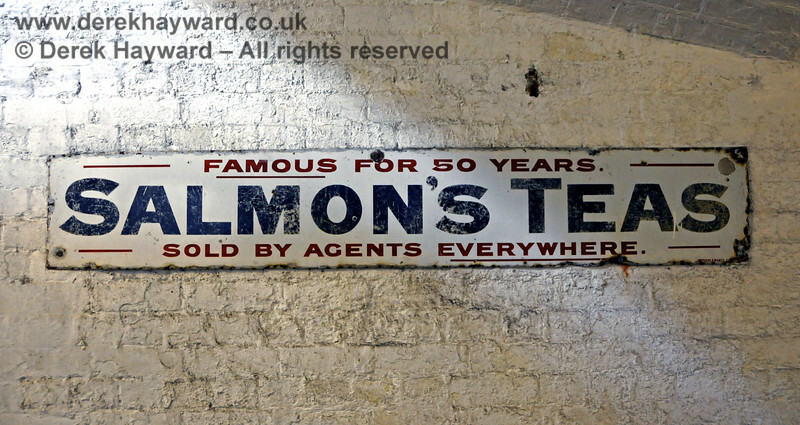 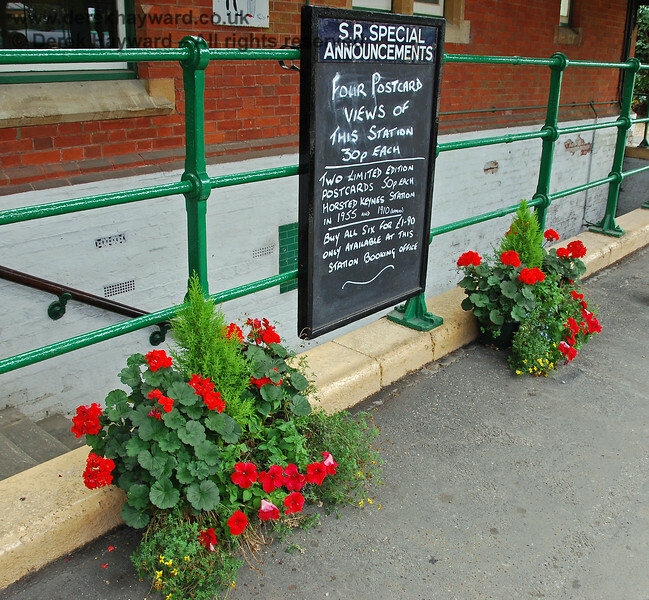 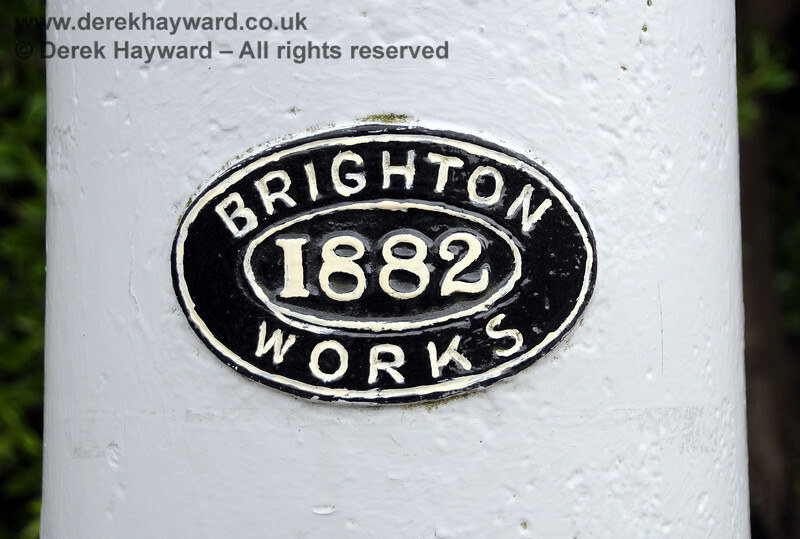 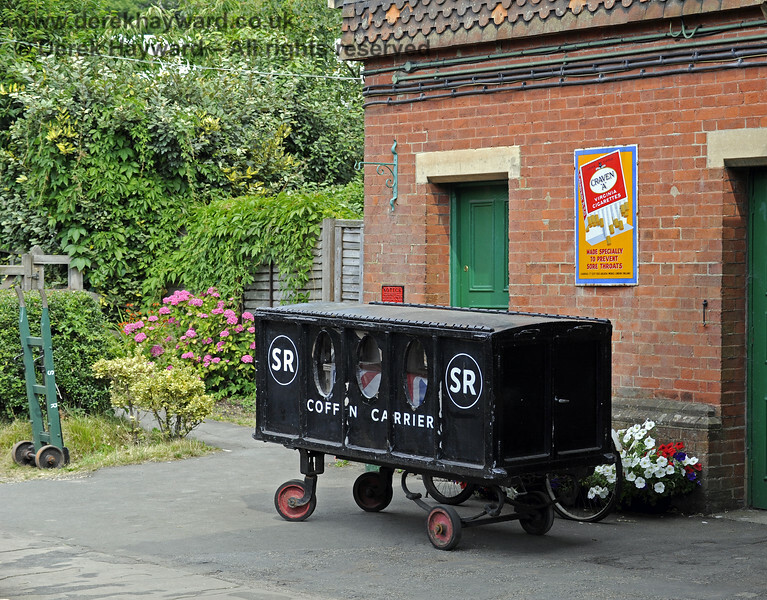 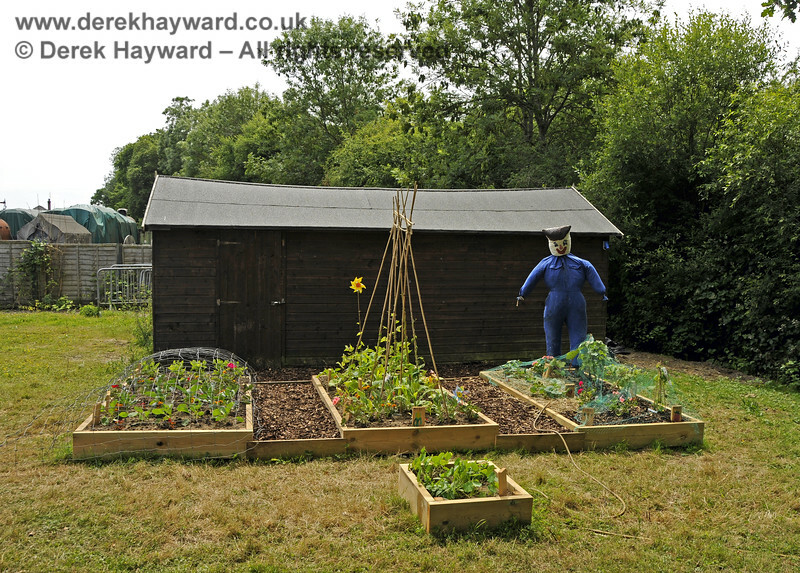 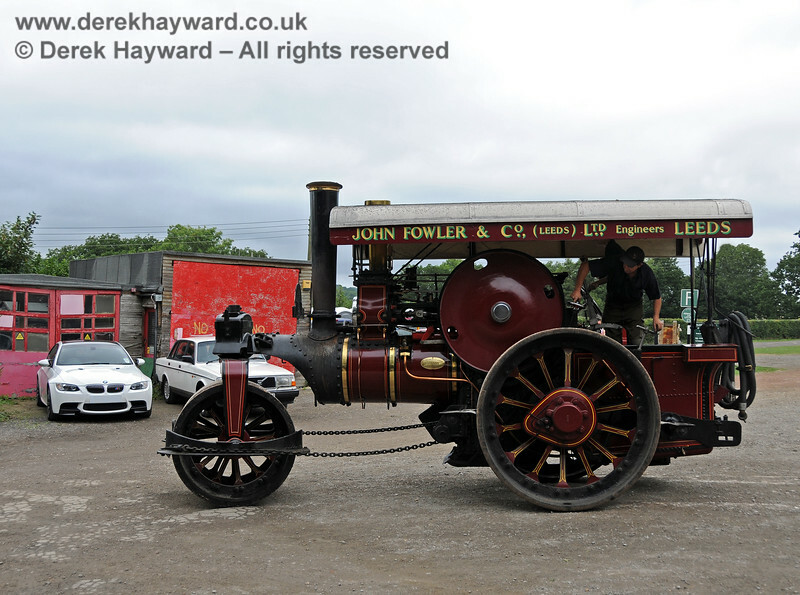 02.07.2016 15627 (Personally I thought that "Salmon's" provided jam in the Carriage and Wagon works). 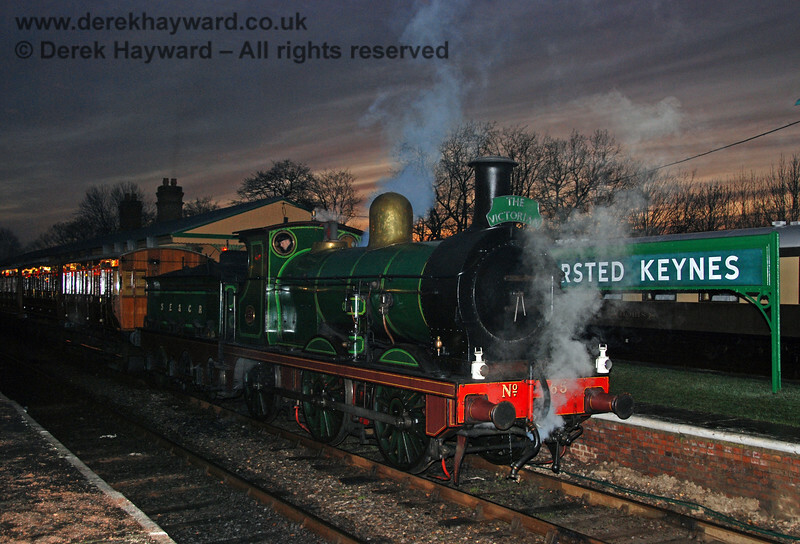 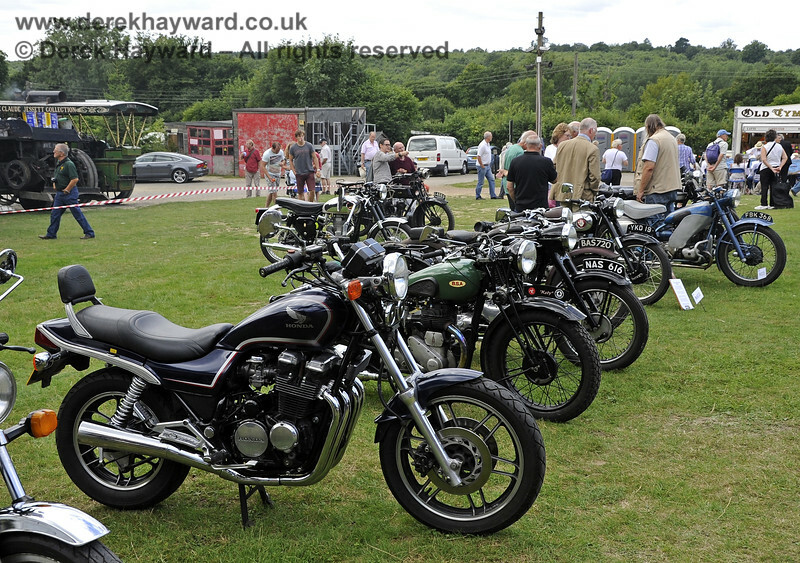 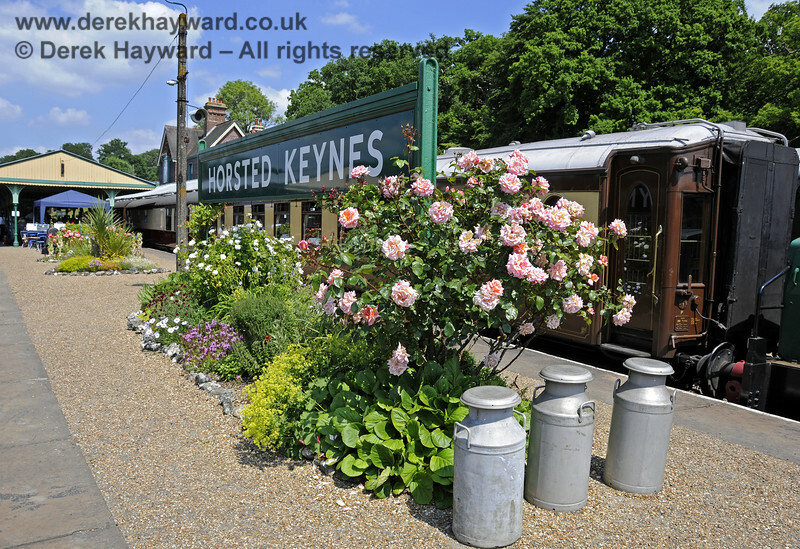 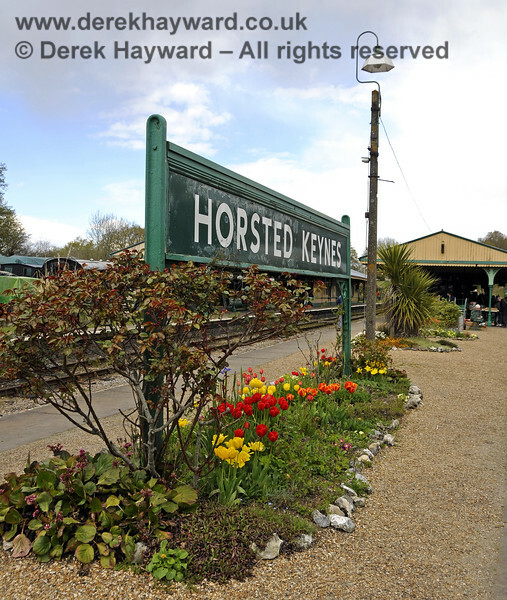 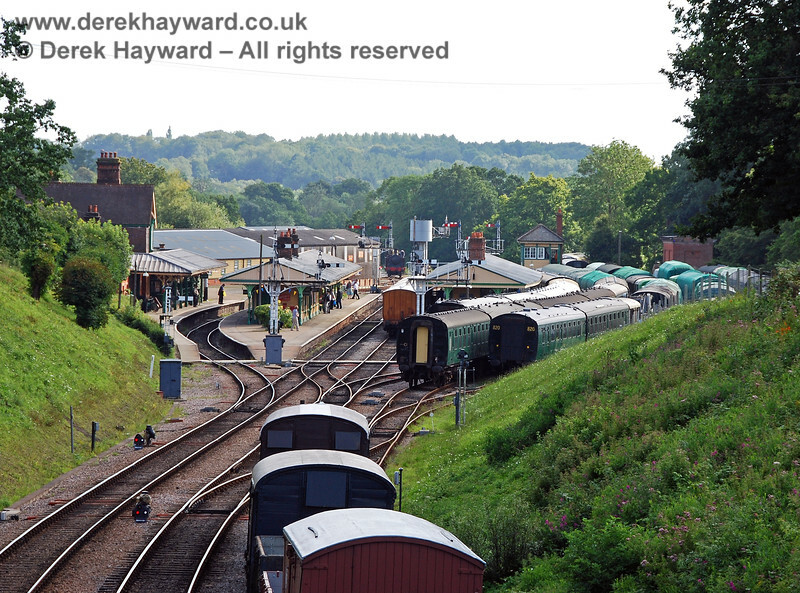 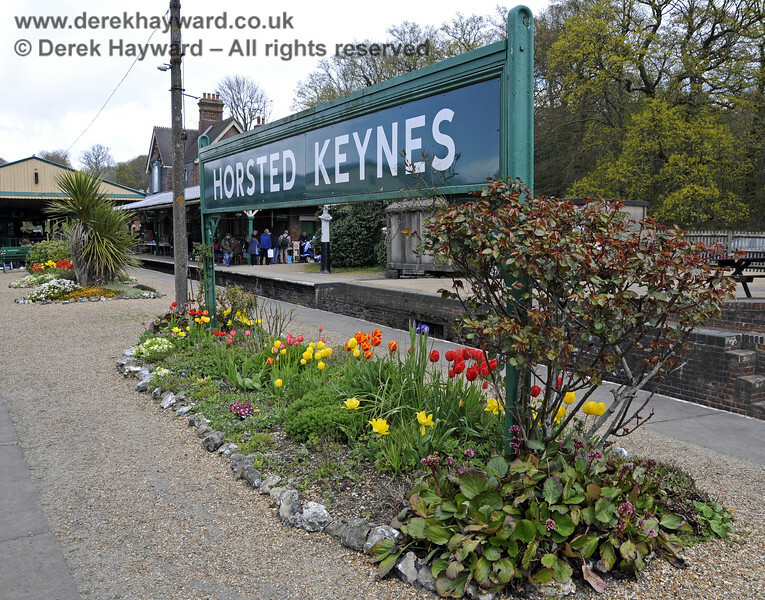 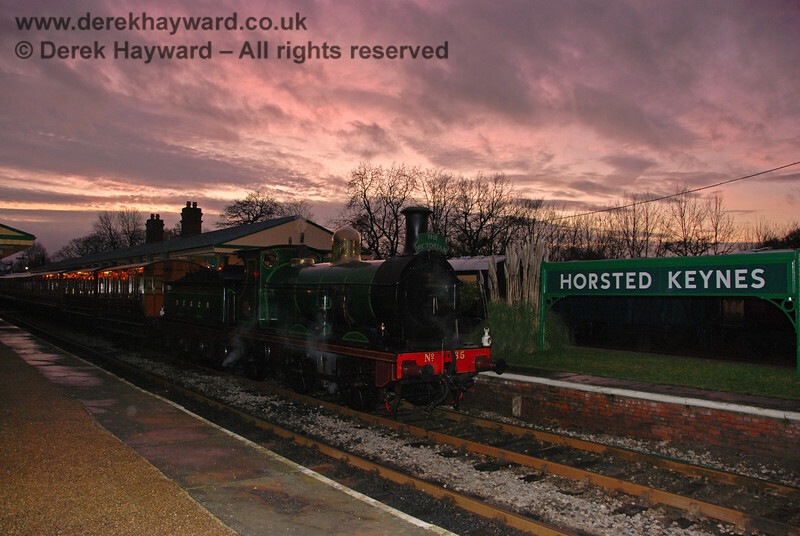 The angle of the setting sun can sometimes give some attractive sunsets at Horsted Keynes Station. 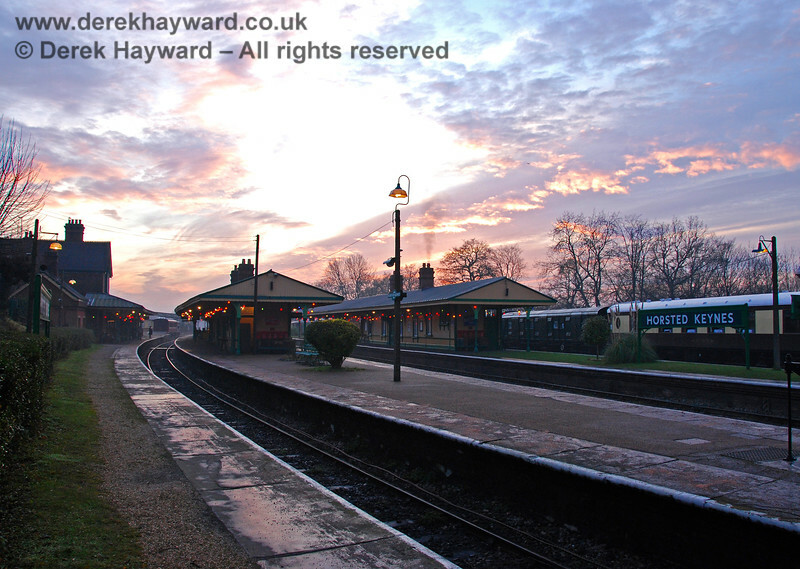 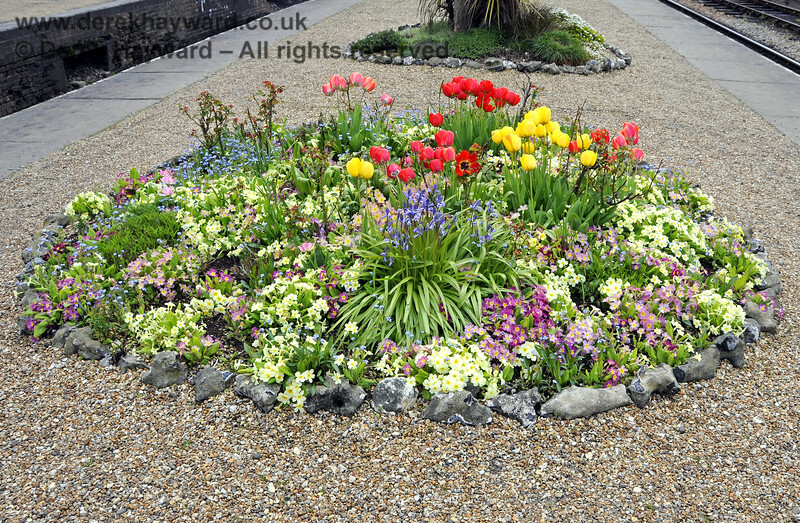 It is slightly misty and cold at ground level on 22.12.2007, but the sky is full of colour. 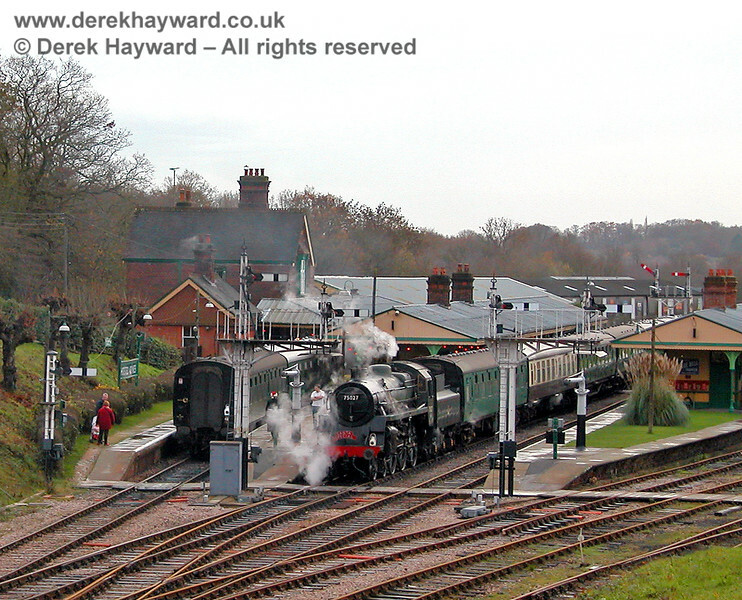 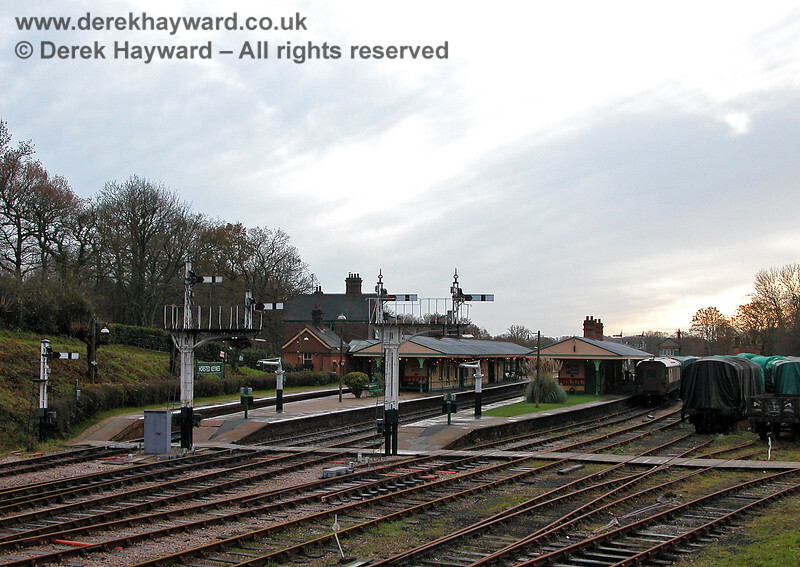 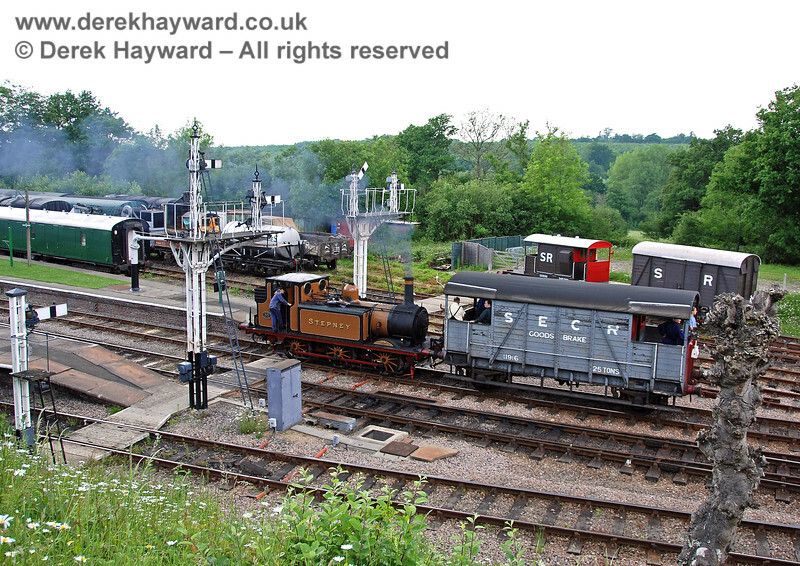 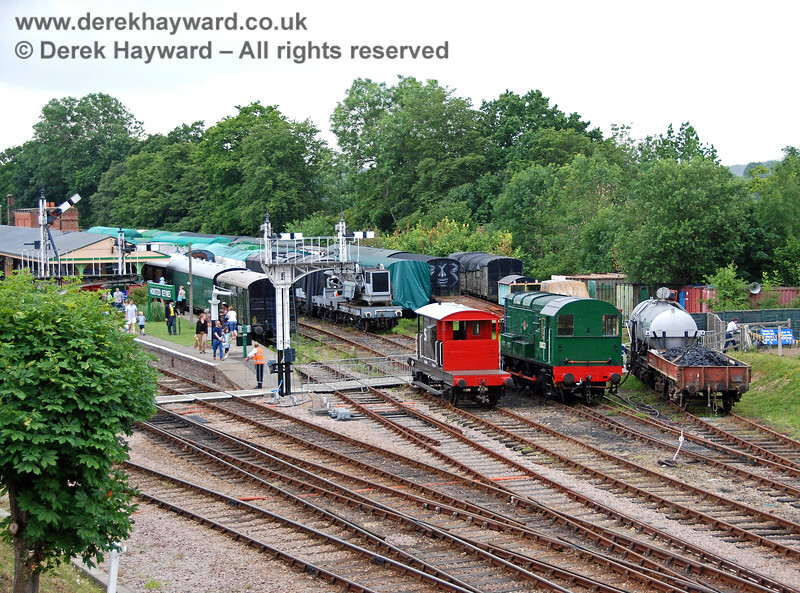 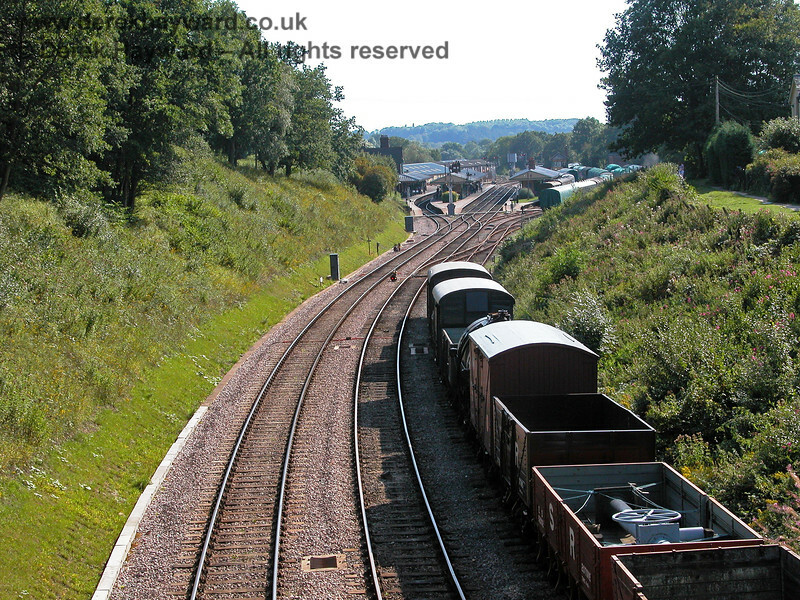 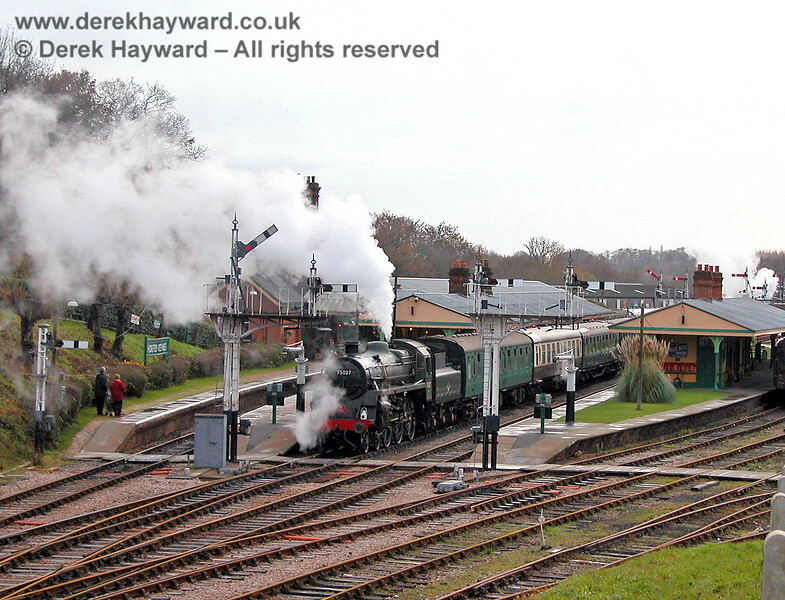 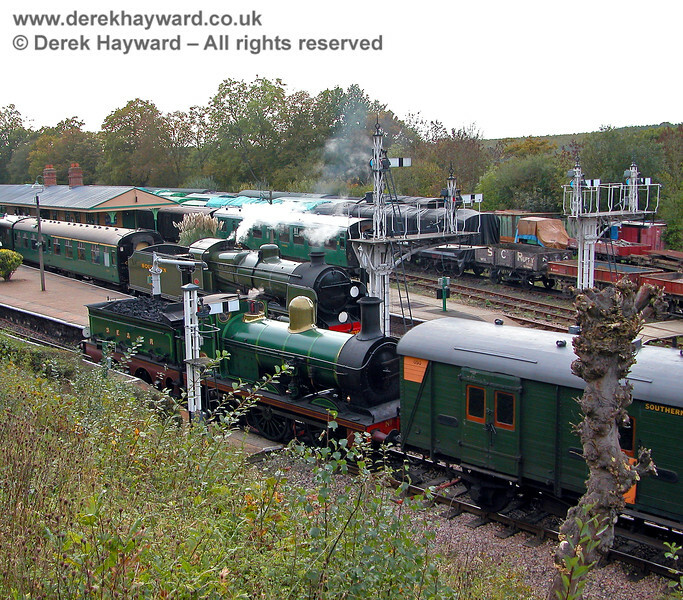 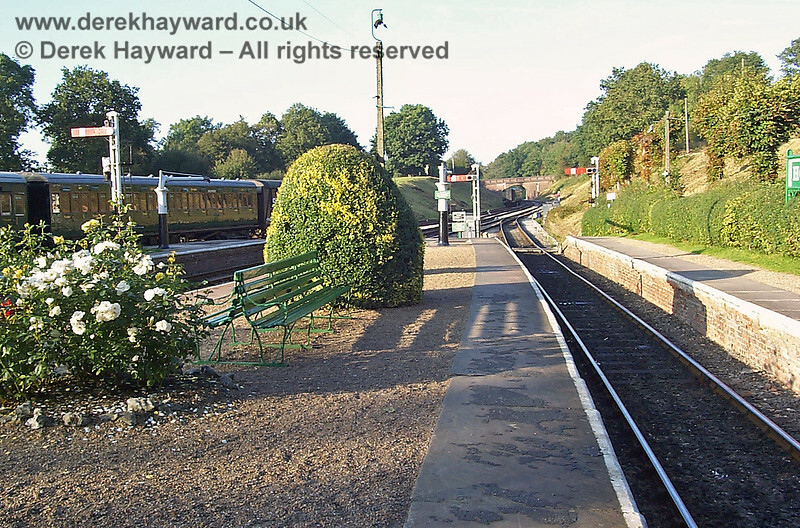 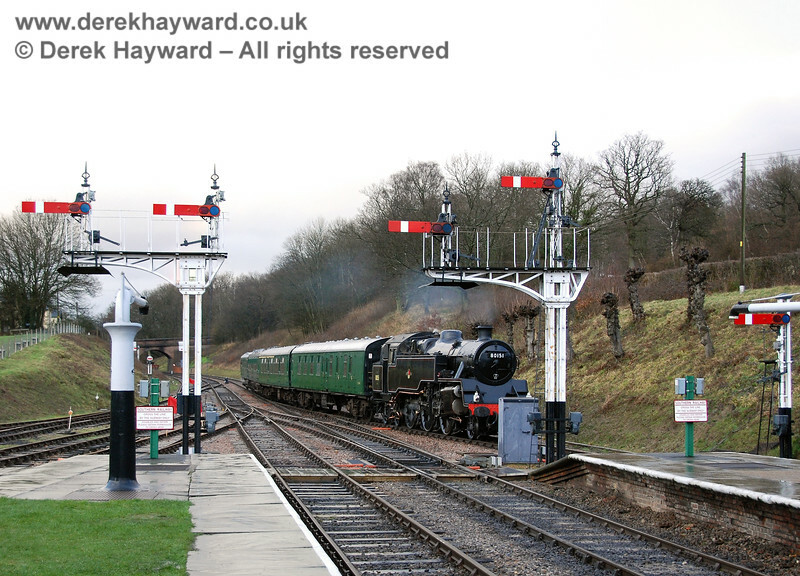 A similar view looking south along the platforms at Horsted Keynes on 19.11.2005 as the shadows lengthen, the lights come on, and a Footplate Days and Ways course steams gently as it awaits a path back to Sheffield Park. 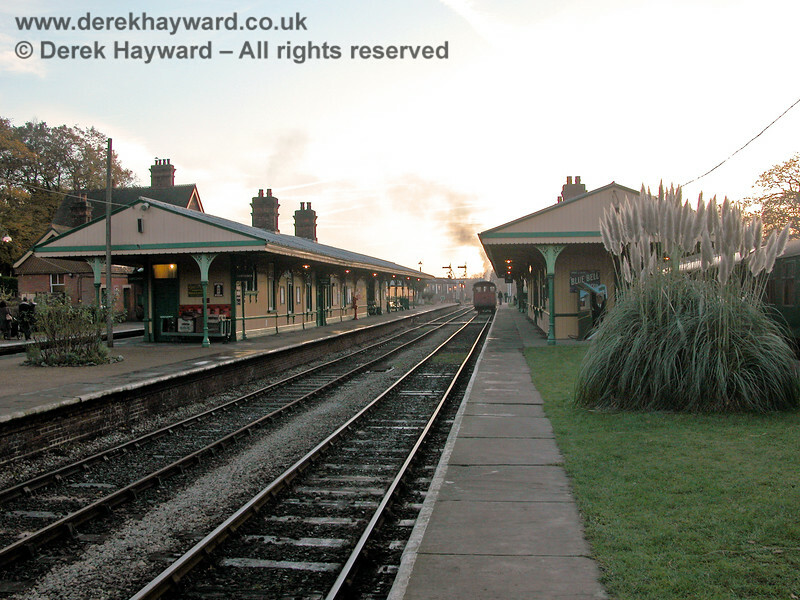 An even earlier view on 20.09.1998 shows no bracket signals at all and three single semaphore signals controlling northbound movements from platforms 2, 3 and 4/5. 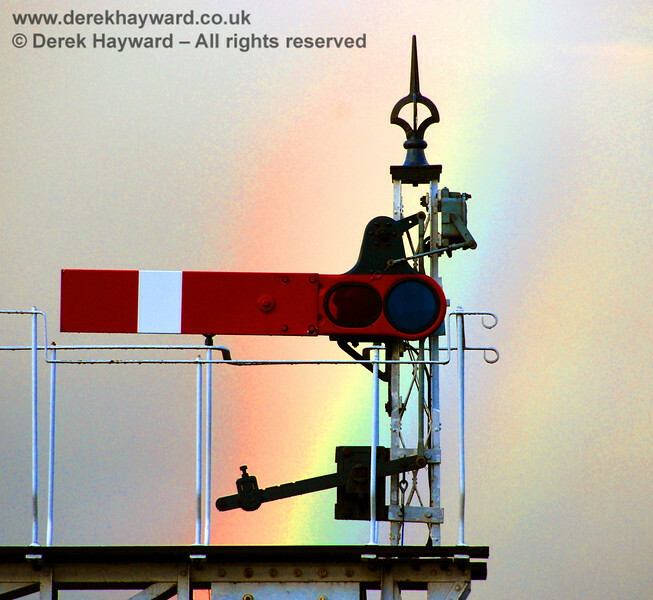 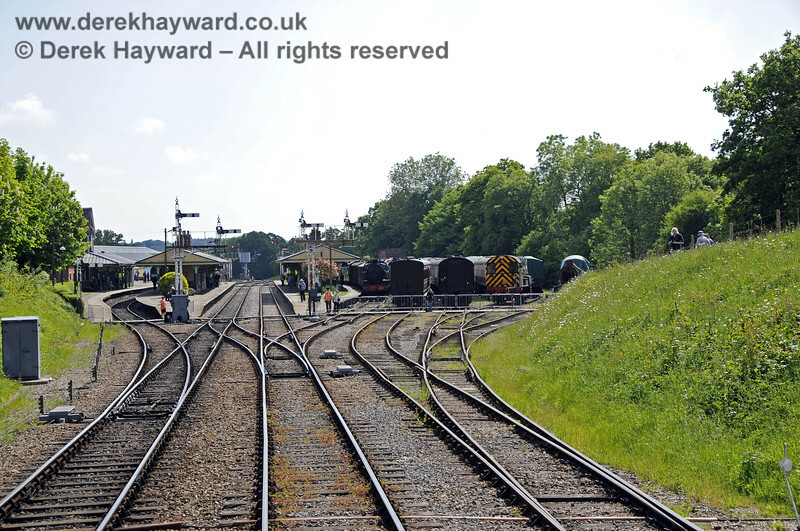 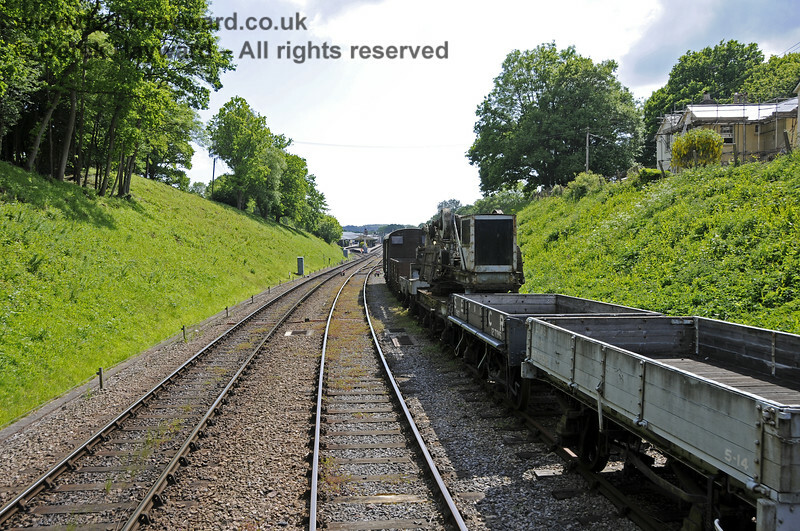 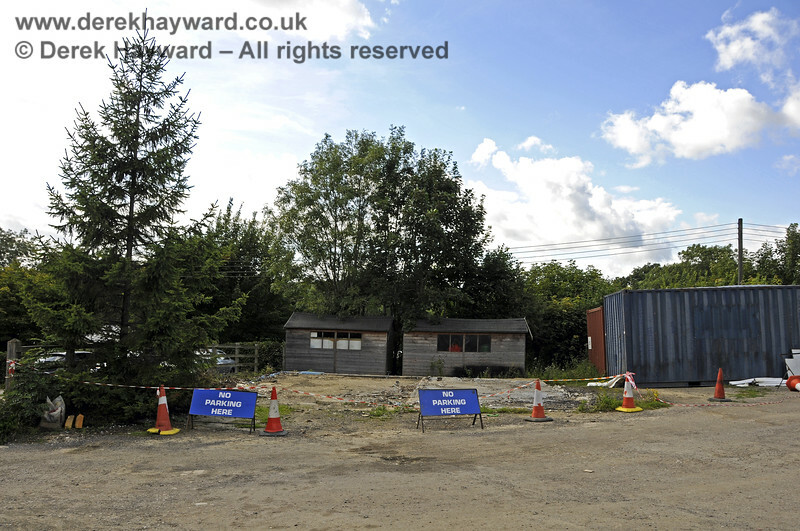 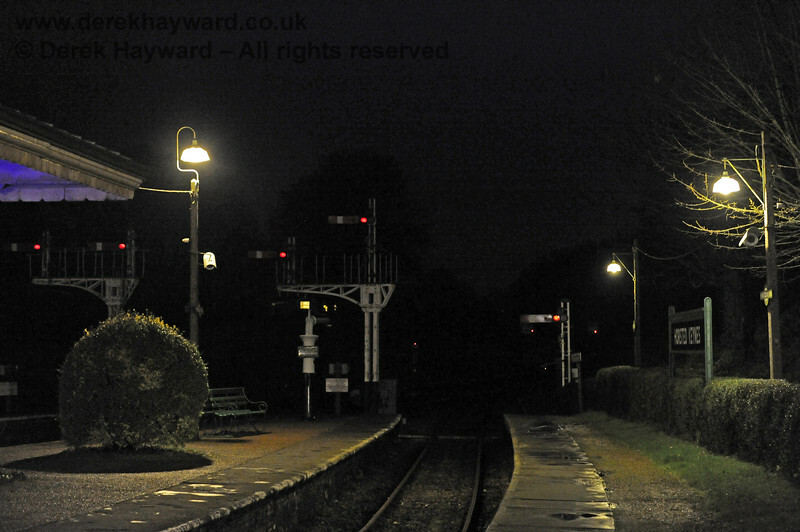 Although this is a low resolution image a low level semaphore signal can just be made out further up the line. 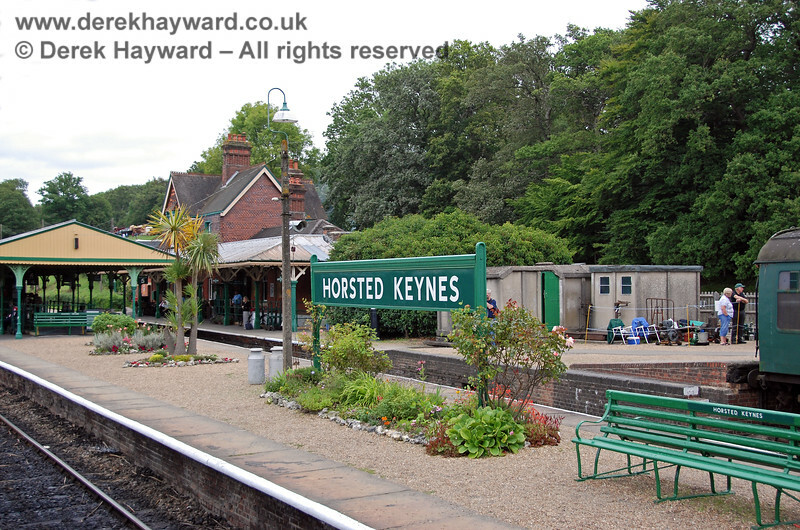 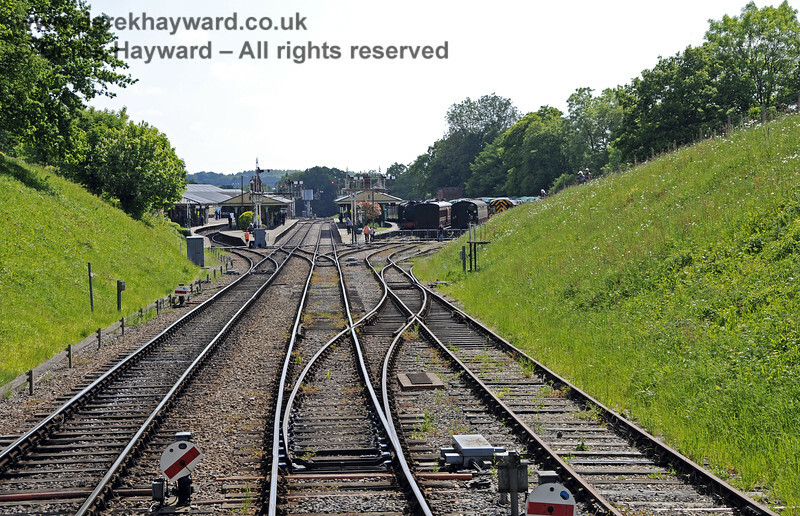 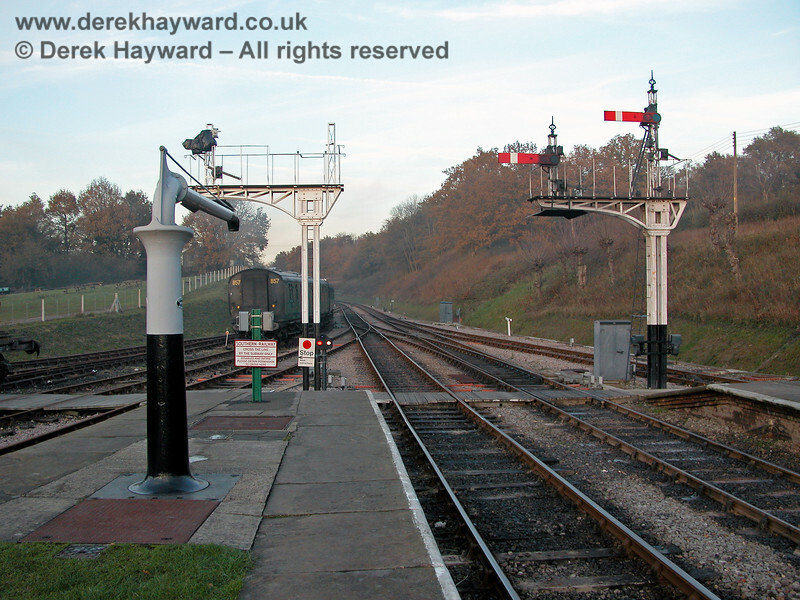 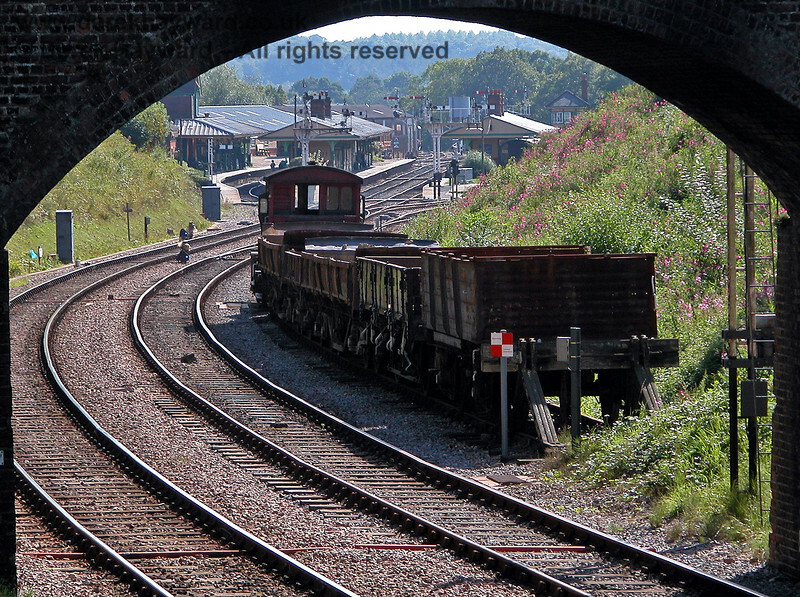 On 19.11.2005 signalling arrangements at the north end of Horsted Keynes were being developed, and this view catches the installation of new signals at the end of Platform 1/2. 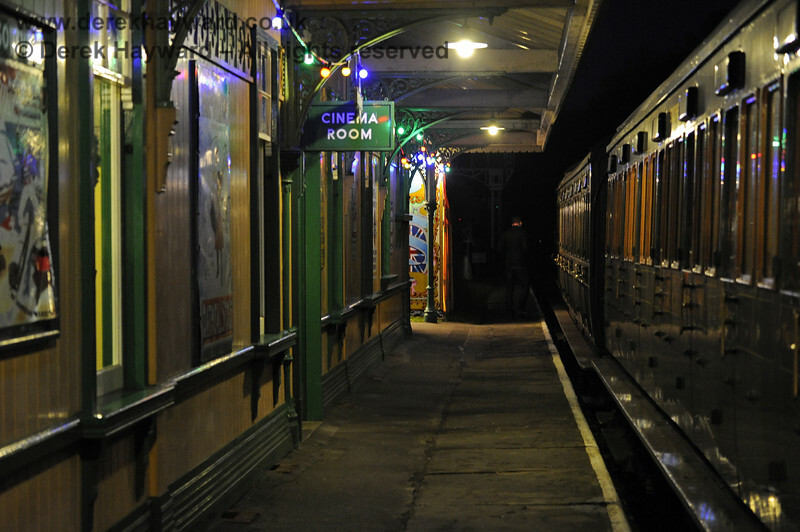 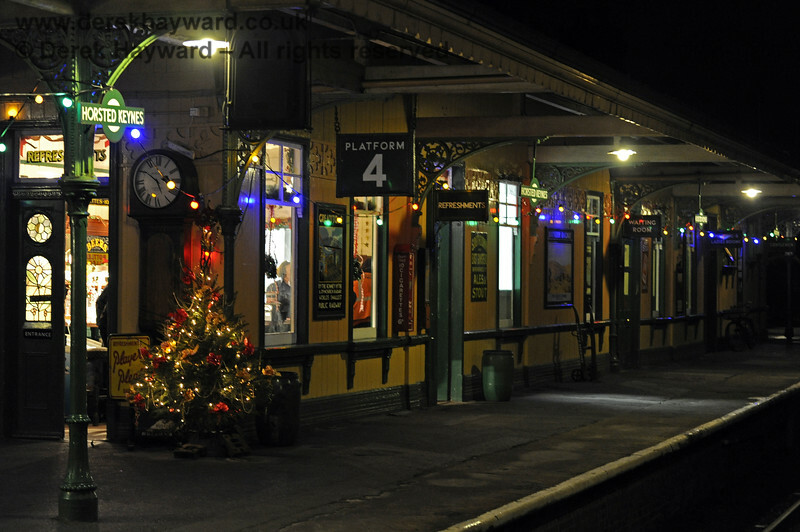 An altogether quieter scene at dusk on 02.12.2006 as the Christmas lights glow under the canopy and Horsted Keynes station winds down after a day of Christmas Specials.